The barbed wire fence is a symbol of imprisonment or internment of many people from France and Jersey. As the internees and prisoners could only watch the life of the people outside through the barbed wire fence, it should be cut out of the plaque. Like this you can look through it once again. The picture of the castle should be engraved, so people can see at first glance that the plaque refers to the history of the castle. 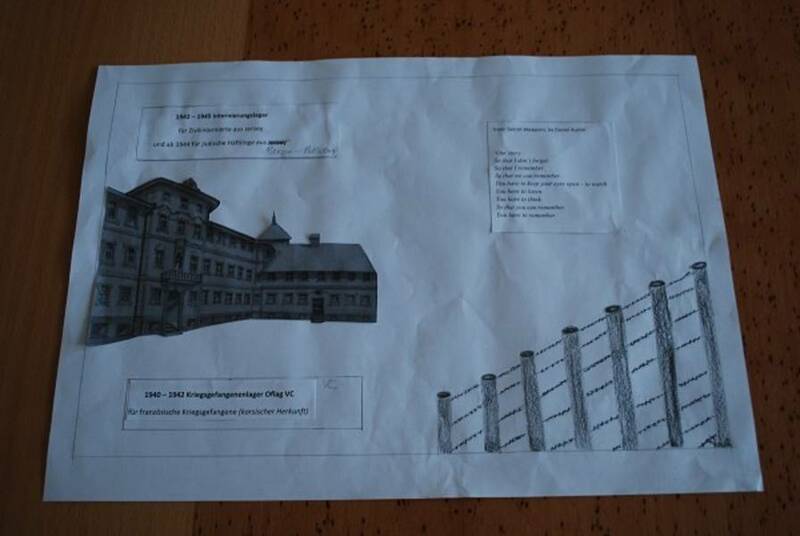 I myself find it really difficult to imagine internees and prisoners living in the castle. The text and the poem by Daniel Austin from Jersey are placed between the two pictures. In case this draft should be chosen, the size of the text must be put in relation to the size of the pictures.